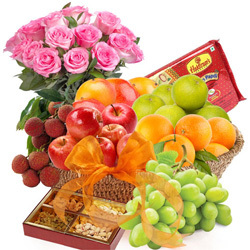 Show love and care for your loved one by Sending Fresh Fruits Basket to Chandigarh Online. 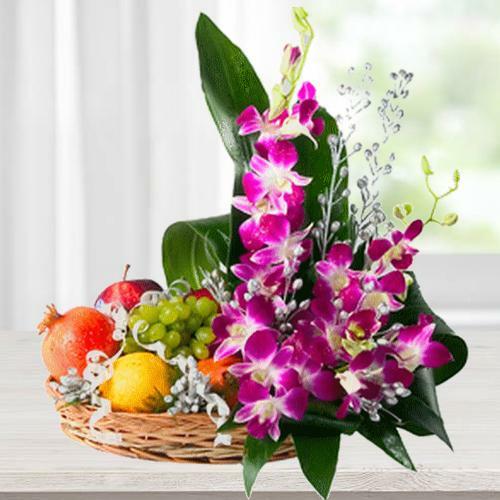 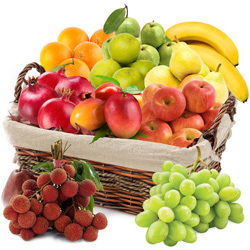 Whether you are seeking to congratulate someone or wishing Get Well Soon or to convey warm greetings on special occasions like Birthday, Anniversary, Diwali, Christmas, New Year etc, you can easily Send Fresh Fruits Basket to Chandigarh Online using our fast, reliable and easy to use website portal. 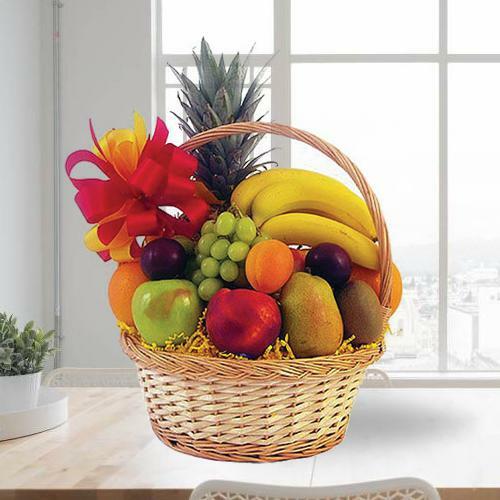 Our range of Fruits Baskets is designed with top quality Seasonal Fruits like Mangos, Bananas, Pears, Litchis, Oranges, Strawberry, Apples, Grapes, Pineapples and Pomegranate etc. 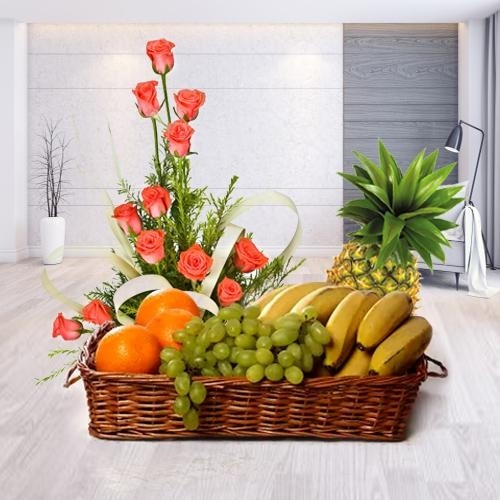 Enjoy our most convenient and hassle free service for sending Same Day Delivery of Fresh Fruits Basket to Chandigarh at Low Cost or at midnight in every corner of Chandigarh say Baltana, Dariya, Pinjore, Ram Darbar Colony etc. 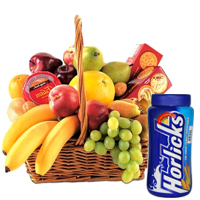 by placing your order just in few clicks. 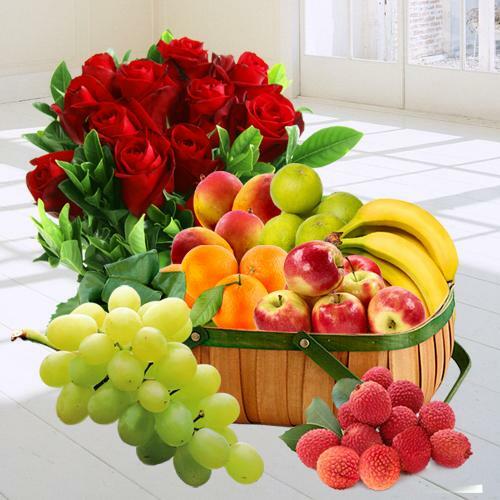 Be it any occasion like Birthday, Wedding Anniversary, Christmas, New Year or any kind of Puja or festival, amaze your loved ones by sending Online Delivery of Fresh Fruits to Chandigarh at Low Cost. 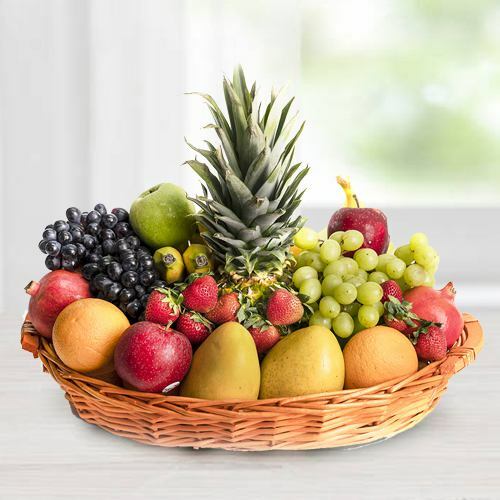 Buy and Send individual Fresh Fruits Basket of your choice or an assortment of Seasonal Fruits packed in an elegant Gift Basket that will be a pure delight for your loved ones. 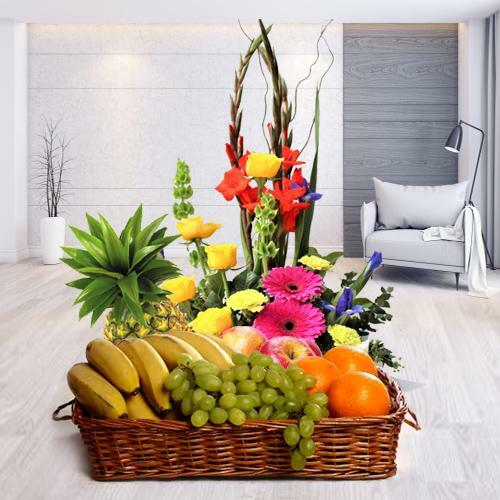 It will be a great disposition if gorgeous Flowers Arrangement or luscious Chocolates or assorted Mixed Dry Fruits or Sweets get attached with nutritious Fruits Baskets at Low Cost. 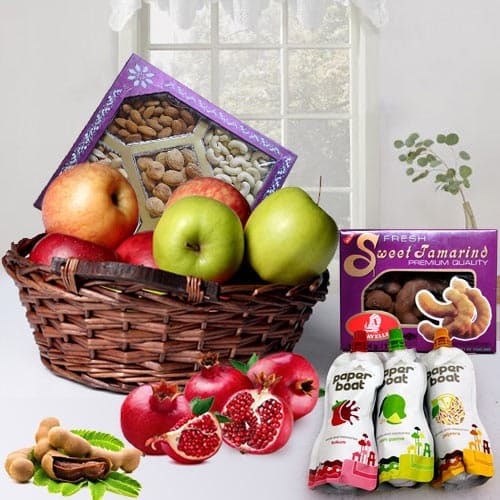 Make occasions better and brighter with special combo offer and Send Fresh Fruits Basket to Chandigarh to create an unforgettable gifting experience for your dear ones. 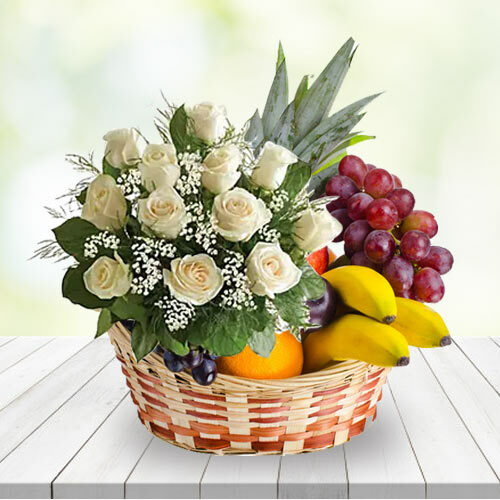 Take the breath of your loved ones away by Sending Fresh Fruits Basket to Chandigarh Online and celebrate every day like it�s a special day. 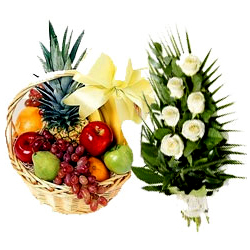 Pick your choice of Combo Arrangement like fresh Fruits Basket decorated with Seasonal Flowers or Mango Baskets with Dry Fruit Collection or Orange Basket with Chocolates Bookey, Green Apples Basket with Sweets, Mixed Fruits Basket with Horlicks and Biscuits as sending Gifts Online can easily fill days with joy and much-needed happiness. 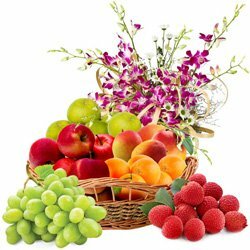 Select your choice of Fruits basket at Low price and Send Fresh Fruits Basket to Chandigarh on the same day and even at mid night with the help of our Quick Delivery service with Free Shipping facility. 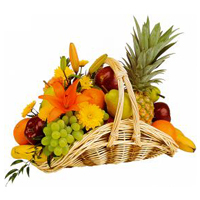 When you send Fresh Fruit Basket to Chandigarh for someone who is health conscious you give them a delicious and refreshing Gift that not only tastes excellent but also extremely healthy. 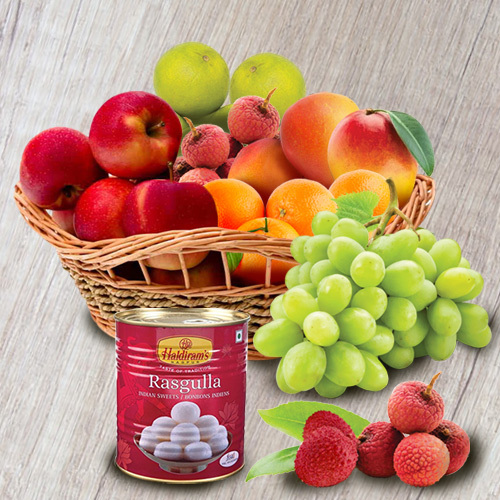 Our leading online store offers endless choice of Fresh Fruits Basket that comes loaded with variety of Fruits like Strawberry, Pomegranate, Mangos, Litchis, Grapes, and Oranges etc and packed beautifully in a handmade Basket ready for Same Day Delivery. 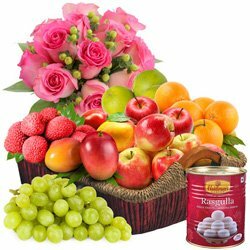 Besides sending Fruits Basket we also deliver other Gift items like Roses Bouquet, Sweets, Ferrero Rocher Chocolates Buky, lip smacking Cakes, Greetings Card and so on all available at Low cost. 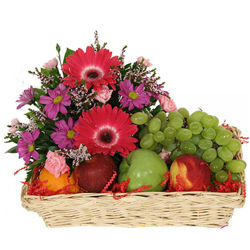 Our Online Quick Delivery of Fresh Fruits to Chandigarh is sure to leave a durable mark on your recipient's life.